When we first discovered Pauline, we were dumbfounded by her unique style that was a blend of "Pauline" and famous artists we've learned about in art class. Pauline uses a variety of mediums to create her work, including watercolors and digital art. A self dubbed “coffee monster”, Pauline enjoys not only coffee but folk music and our main art man Vincent Van Gogh. She studied fine arts as a University student, and her artistic growth is evident when scrolling down her Instagram feed. Pauline can also be reached on her Tumblr and Twitter. Risen: Your pieces are absolutely astonishing! Oh my God, we instantly flash-backed to Van Gogh, from his more well known paintings to his realistic sketches when he was younger. We must say, you are up there with him. Are there any artists, dead or alive, that you would love to learn from as a mentor? Pauline: I really love Vincent Van Gogh so much. I just love his command of colors and the way he used his depression to create magnificent works of art. Ever since when I started painting, one of my dream mentors was and still is our National Artist Fernando Amorsolo. His paintings dramatically changed the course of Philippine history. Amorsolo is the best cited for his mastery in using light, to magnificently craft his masterpieces and I want to learn that because it amazes me every time I see his paintings. Risen: You frequently experiment with different styles and coloring. Is it difficult to transition from one style to another? Pauline: Learning is an endless process that’s why I keep experimenting different techniques and mediums from digital art to traditional art. There is nothing impossible as long as you love what you are doing and believing that you can do it. 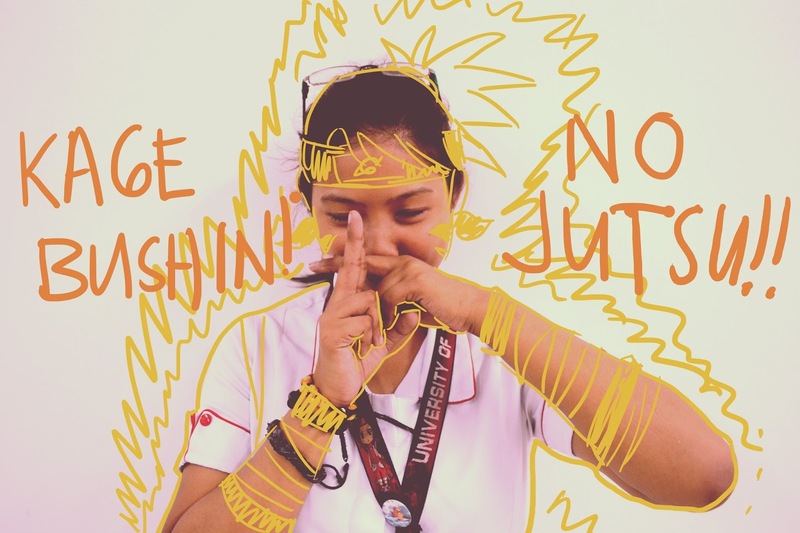 Risen (Jazmine) : In my experience, Filipinx artists usually aren’t very well known out of the country, do you feel like there is a barrier to break there for you as an artist? Pauline: You can break barriers through social media and make a change. Risen: As an artist of color, do you feel like your experiences and cultural background transfer onto pieces you do and share on the internet? Pauline: Yes, I do show Filipino culture like history and other Philippine forms of art. For example, my art style is messy but in a good way. The watercolor splatters and the array of colors on my work represent how although Filipinos are different, unique, and wild in spirit, we have beautiful souls. Risen: Have you ever felt pushed to assimilate as an artist with your style or your message to be able to connect with other artists or be accepted by them? Pauline: I often feel compelled to do art that spreads awareness. I have the need to inform people about certain issues that need to be heard. I want to spread awareness about the slowly dying art that all of us Filipinos are forgetting. The art that has been in our culture even before we were colonized. I want to make everyone aware that this form of art is still alive and needs to be preserved because these are remnants of our history as a country and a nation. Risen: If there was a movie about your life, who would you cast to play you? Pauline: [Laughs] If there was ever a movie about my life, I would want Alexandra De Rossi to play. She’s a brilliant Filipino actress, I really admire her. Pauline:My top 3 artist on instagram are @miyuli, @elfandiary, and @japmkl! Pauline's art mainly focuses on Filipinx figures, which I (Jazmine), as a Filipina am INCREDIBLY happy about! 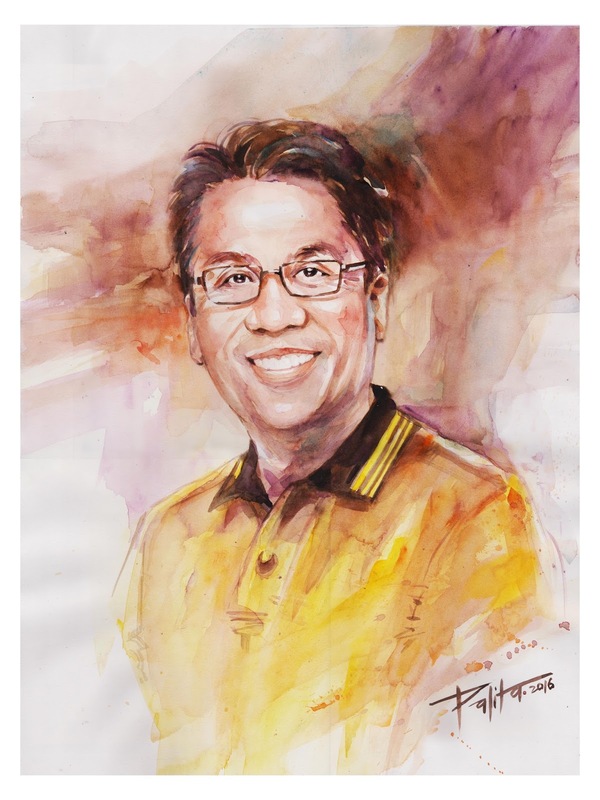 Commission painting of Mar Roxas the 24th Secretary of the Interior and Local Government of the Philippines. Commission painting of the Multi-Platinum acoustic-songwriter and music icon Noel Cabangon. The painting was used as the latest album cover. 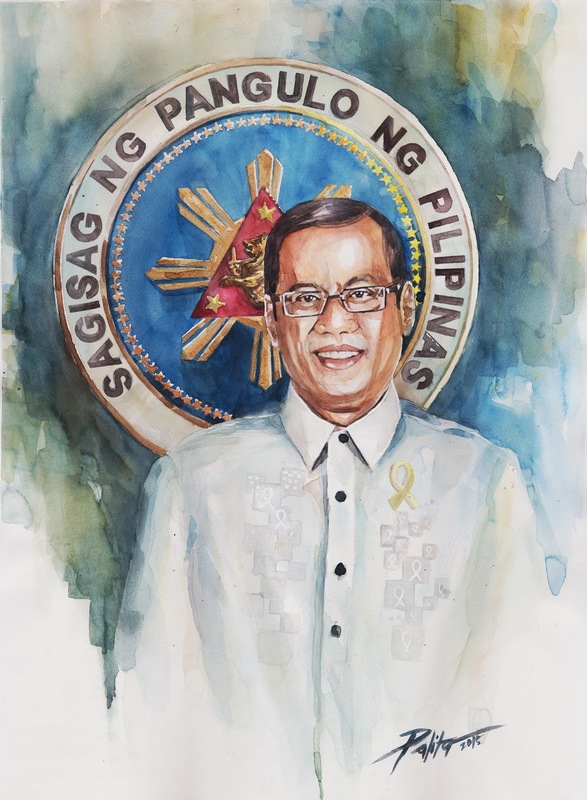 Commission painting of our former president of the Philippines Pres. 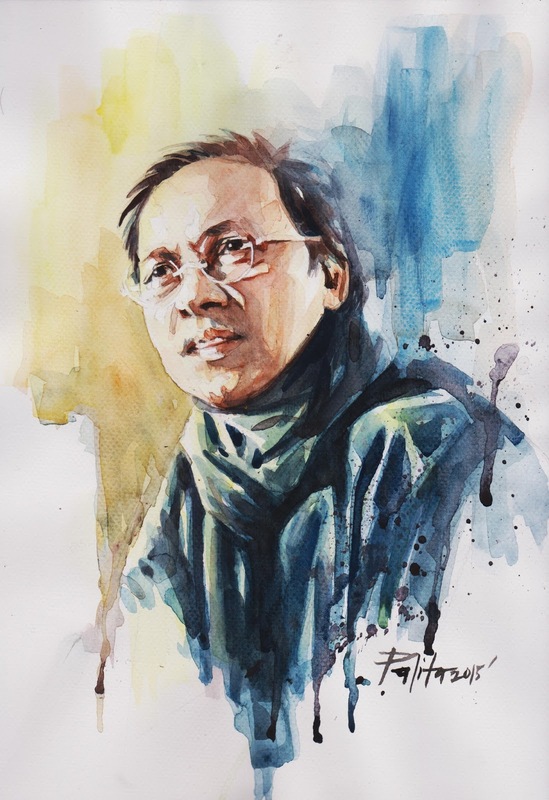 Benigno Aquino III. 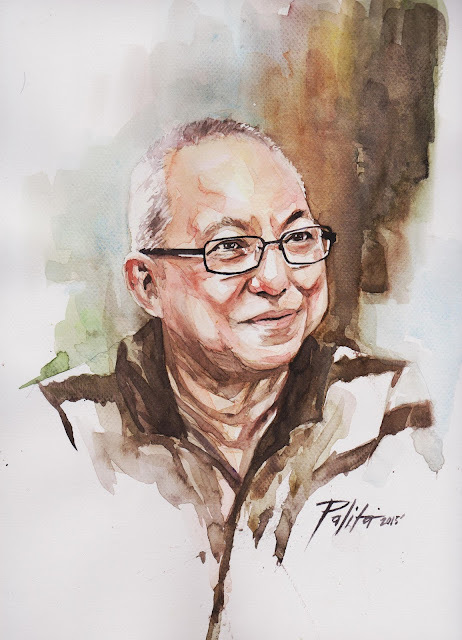 Commission painting of Noel Cabangon, an award winning scriptwriter in the Philippines.